When YouTube was introduced in 2005, probably no one imagined that it will become one of the largest video sharing platform and most influential social community. People can show their videos to the world and become very popular on this platform. Having good content on the YouTube channel invites more viewers and subscribers and help in the growth of the channel. 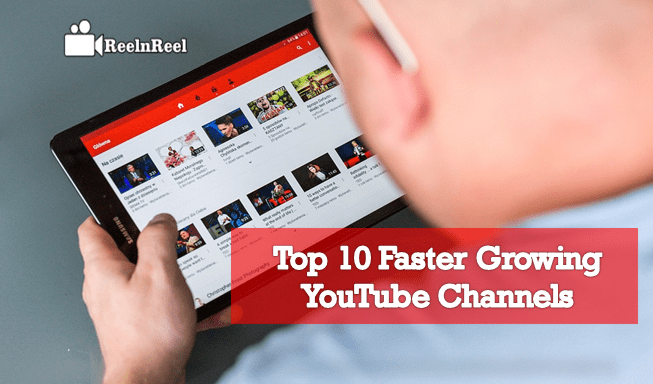 Here are the fastest growing YouTube channels in 2019. T –series launched its YouTube channel in 2006 and has more than 79 million subscribers. T-series in the number one position since 2018. This is the second fastest growing channel on YouTube. The channel was launched in 2015 but already has 26,611,169,948 views. Little Ryan is the most popular YouTube celebrity. This is the channel of an English singer song writer and has 36,350,165 subscribers and 15,751,167,102 views. The channel joined in the year 2006. This YouTube channel has 39,177,831 subscribers and 27,082,682,374 views. It was launched in the year 2006. The audience can watch dramas, events, comedies, game shows and dance shows on this channel. This channel has 23,425,855 subscribers and 9,994,094,517 views. This was launched in 2012. This channel has 45,154,835 subscribers and a total number of views is 22,241,809,871. The channel was launched in 2012. This channel has more than 16,350,521,362 viewers. Launched in 2007, this favorite channel of many has 29,230,334,070 views and 38,375,504 subscribers. This music channel belonging to Katy Perry has 31,982,702 subscribers and 17,144,812,028 views. Launched in 2008, this is one of the fastest-growing channels in the world. This channel has 12,649,541 subscribers and 26,563,237,735 views. This channel is only three years old. Music channels have been the most popular and fastest growing channels during this year. There are channels that are seeing high view counts and earned statistics that are worth mentioning.